This shot was taken at Albion Falls in Hamilton, Ontario. A Lee 10-stopper was used to produced silky water. I believe it was 5-minute exposure. I did not have my 3-stop neutral density filter with me or else i could have achieved the same result with less time. Post-processing in Adobe Photoshop CS6. Canon EOS 5D Mark III, Canon EF 17-40mm f/4.0L USM. 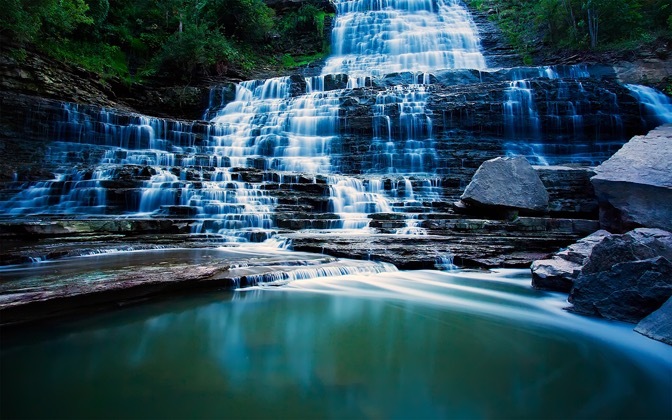 Send a Private Message to the Artist of "Albion Falls"